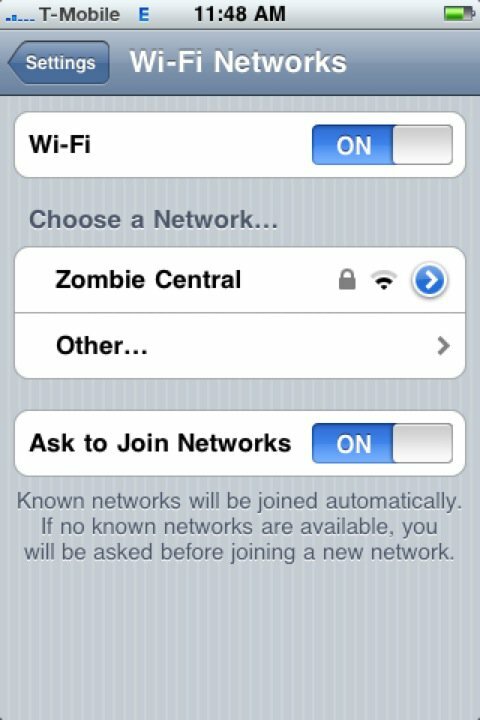 Last week I changed our Wi-Fi name to Zombie Central. I thought it was funny but now I have to redo my wireless printer and I can't figure out how yet. I redid the Wi-Fi on my Kindle and Rich did his laptop but the printer is being a pain and doesn't let me change the name. Now I have to redo the whole set up I think and that's such a pain. 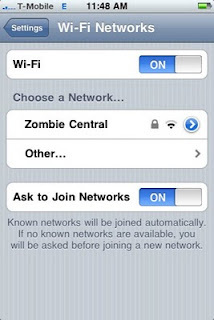 Oh well, here's a picture of our Wi-Fi. Bahahhahahaa!